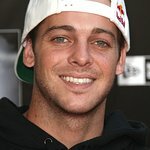 Ryan established the Sheckler Foundation, which partners with the Children's Cancer Research Fund. He offered his SUV to the person who can raise the most funds for the charity. Google trends for "Ryan Sheckler"